Initial reports showed this very clearly. Rather than a smooth take-off, the planes both experienced pitching up and down in a way that showed the plan was completely out of control from the moment it left the ground. China’s quick decision was immediately criticized, however. Wasn’t this all about the trade war with the US, the place where these planes are made? Isn’t this just all for show? 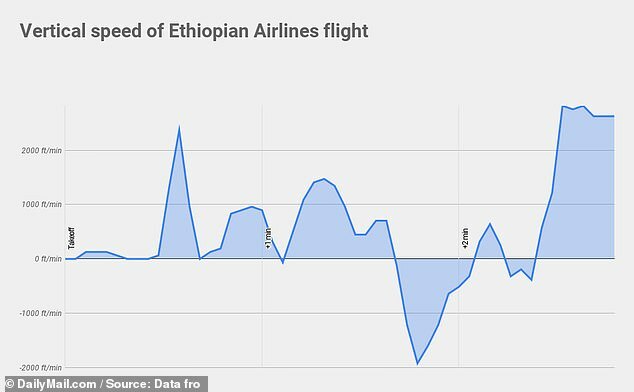 The vertical speed of Ethiopian 409 after takeoff. Within days, other nations and airlines did exactly the same thing. Pressure mounted for the US to do likewise, but the FAA was slow to react. 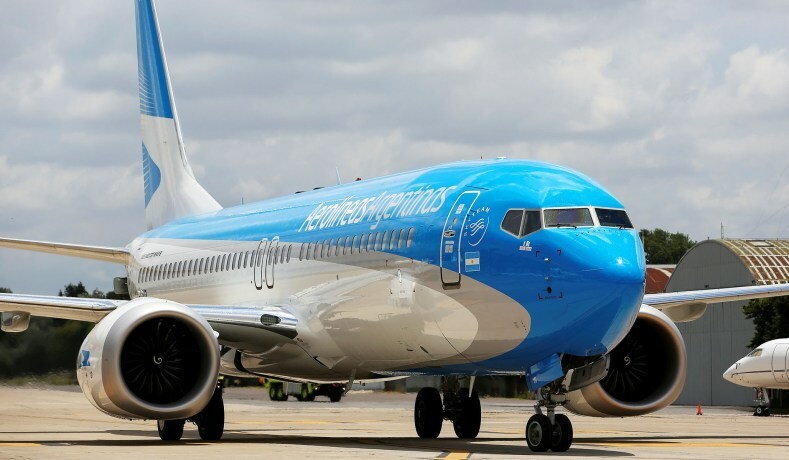 Finally, Boeing announced their own grounding before the US could act. During this flurry, however, the “optics” of such an event and the effect on the stock were heavily debated. Since this, China has made it’s “zero tolerance” policy regarding safety much more clear. It’s actually a classic Chinese Communist Party reaction to events a few years ago, when safety in China’s skies were a concern. Zero tolerance is indeed the standard there, and there have been no crashes in a long time. The world’s most technocratic government has a policy, and that’s pretty much that. For the rest of the world, particularly the US, we have to ask a very simple question: How is this a political issue? Is everything now all about politics? Is the question of the moment whose side wins or loses, or who looks bad? If you read nothing but US coverage, you might well have come to that conclusion. Thinking is different from worrying. If this is indeed the standard which we apply, I put it to you that the US is doomed. Certainly, no aircraft maker wants to see their planes grounded and it is going to be embarrassing for Boeing as well as very expensive. As a huge Boeing fan, I am dismayed by this and hope a fix can come soon. But I really don’t care how Boeing “looks” through it all. Safety has to be first. There will always be political issues like this, even in a truly technocratic world. The question at hand is how important they are to the decision making and perception of any issue that arises. If they dominate, the technical edge is lost. This is the opposite of the “gee-whiz” hype that accompanies the launch of new technology, creating a relentless wave of emotion and social pressure that prevents a proper understanding of what technology is all about. Tech, in and of itself, is just a thing. It’s how we use it which matters. The new engines on the 737 Max and other changes save fuel and should make air travel cheaper for everyone. But if they were implemented badly, relying on a software patch with glitches and grossly inadequate training, they are not worth it. A pilot has to have complete confidence in his or her plane, period. That’s the only issue at hand here. But if you consume American press, you might not think that. We’re now on the downside of the relentless hype cycle of tech, running excited and then running scared of the things we do not understand. Sitting down and understanding them? Not what we want to do. A proper relationship to technology in an open, democratic society is going to be difficult. We’re not even trying. Given that, we have almost as much control over our future as the brave pilots of Ethiopian and Lion who, sadly, could not fly their planes. Pitching up and down like that before dropping out of the sky must have been terrifying, a terrible way to die. It’s a terrible shame that society as a whole can’t see that. This entry was posted in Nooze, Politics and tagged 737 Max, current events, media, News. Bookmark the permalink. Everything is political. I can’t believe it. Posted your report on fb.